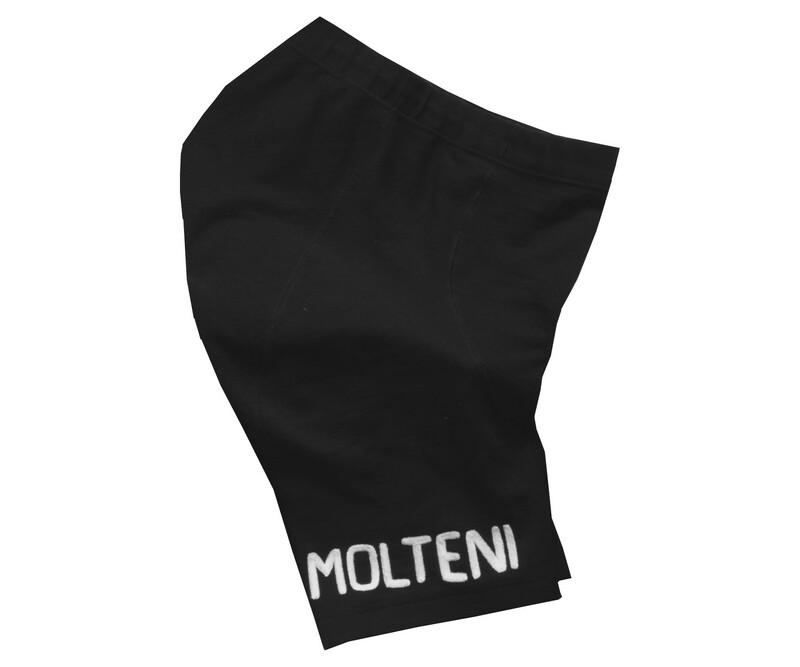 Finally, Molteni team wool cycling shorts are back! 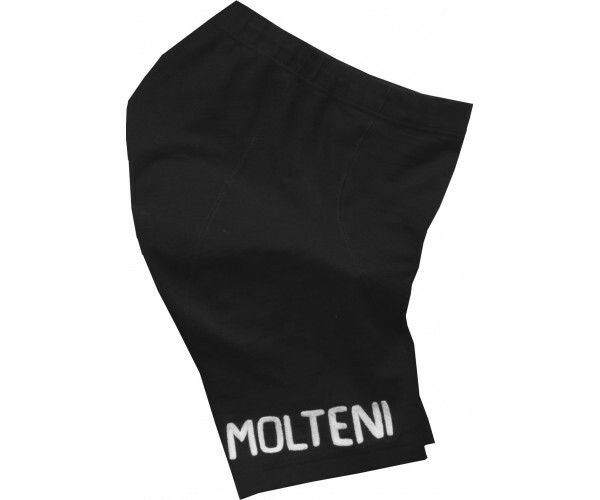 Now you can wear performance wool shorts with Molteni brand wool cycling jersey. The secret to this superior short is the special knit structure with a touch of nylon and elastic for stretch and shape retention. No sagging! Anatomical multi-panel construction moves with you. Rare, original chain-stitch embroidery on legs. The shorts use Woolistics custom-made elastic 'Multilevel' stretch pad for total comfort. Advanced nylon fabric is sewn on the seat to protect the wool from friction. Machine washable. Limited quantities.